Thank you for the pointer! 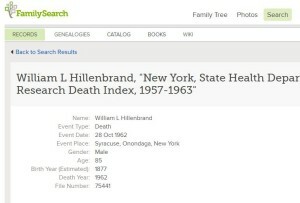 There used to be a NYC death index online for 1957-1962. I posted the Staten Island ones online at http://www.rootsweb.ancestry.com/~nyrichmo/vitals/SIDeaths19571962.html but the link to the rest of them has gone bad. Do you know if that’s still available? Thanks!